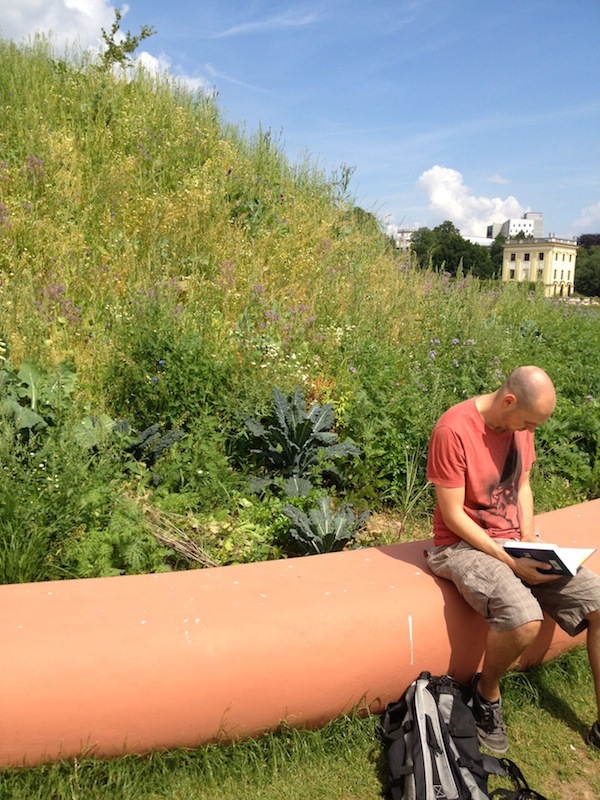 Yesterday, Walker executive director Olga Viso shared her review of dOCUMENTA (13), the art exhibition that occurs in Kassel every five years. As a supplement, here’s her top picks from her July trip. 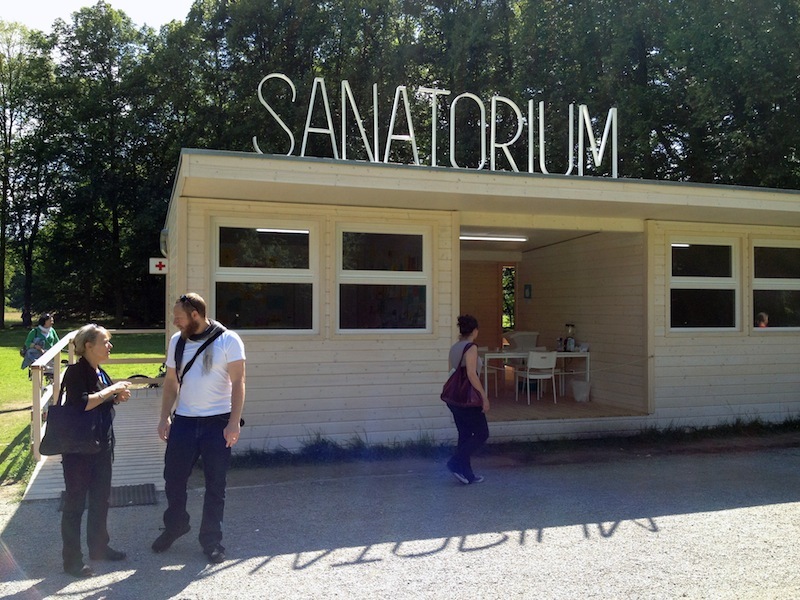 Coming soon, her highlights from Manifesta and TRACK. 1. 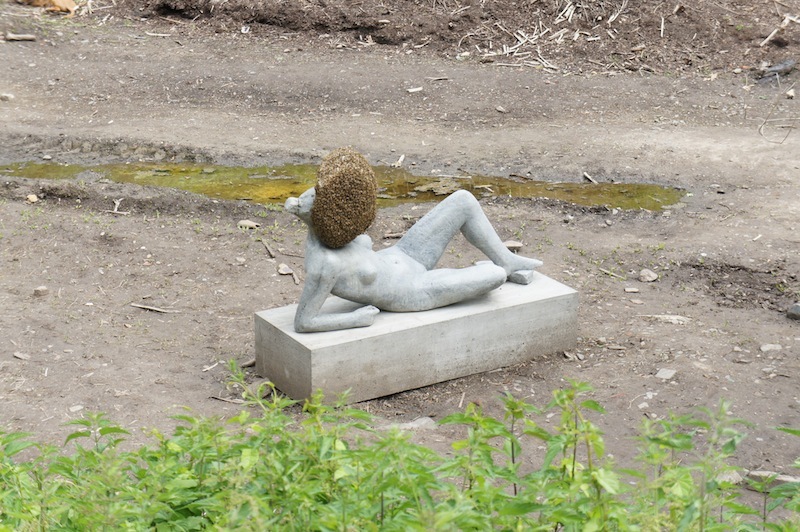 Pierre Huyghe’s transfiguration of the compost area in Karlsaue Park through subtle insertions and site modifications. 2. 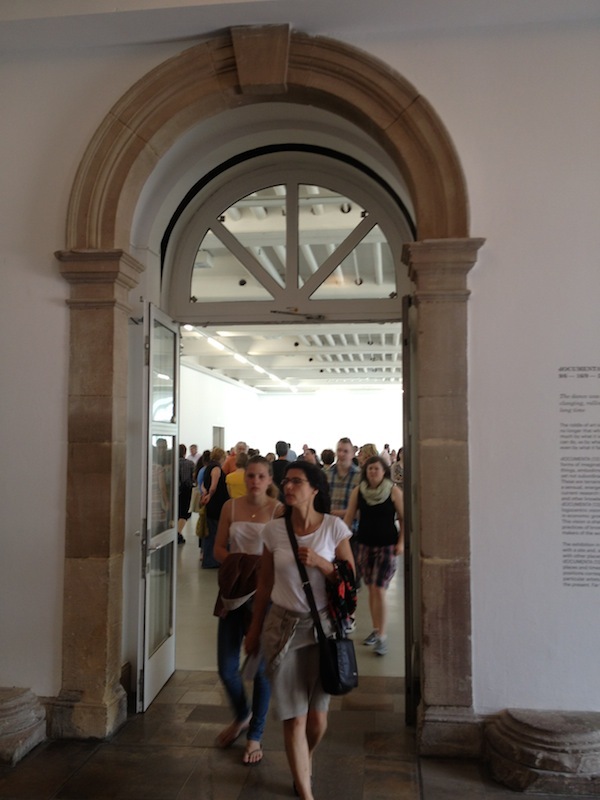 Ryan Gander‘s gusting corridor of wind through the nearly empty galleries of the ground floor of the Fridericianum. 3. 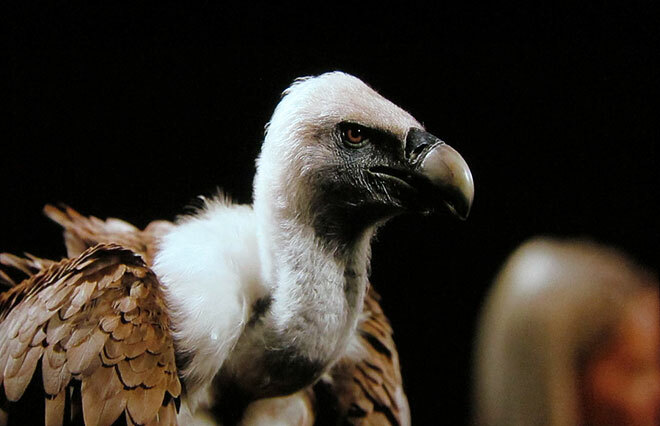 Allora & Calzadilla’s video installation Raptor’s Rapture projected in a former Nazi bunker, celebrating the origins of music and the relationship of that history to a nearly extinct griffon vulture. 4. 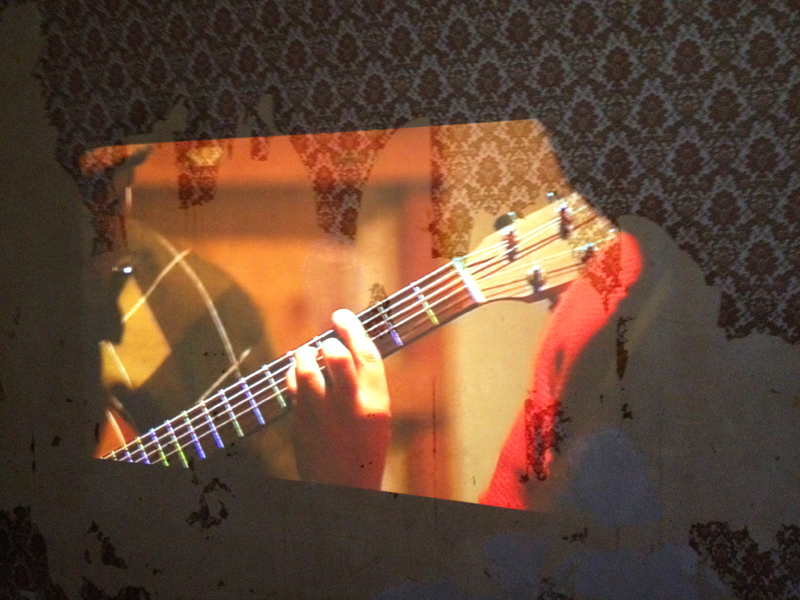 Theaster Gates transformed an abandoned 19th-century Huguenot House into a site of live performance and art-work commune. 5. Song Dong’s “Doing Nothing Garden,” a fertile waste mound on the elegant grounds of the Orangerie. 7. 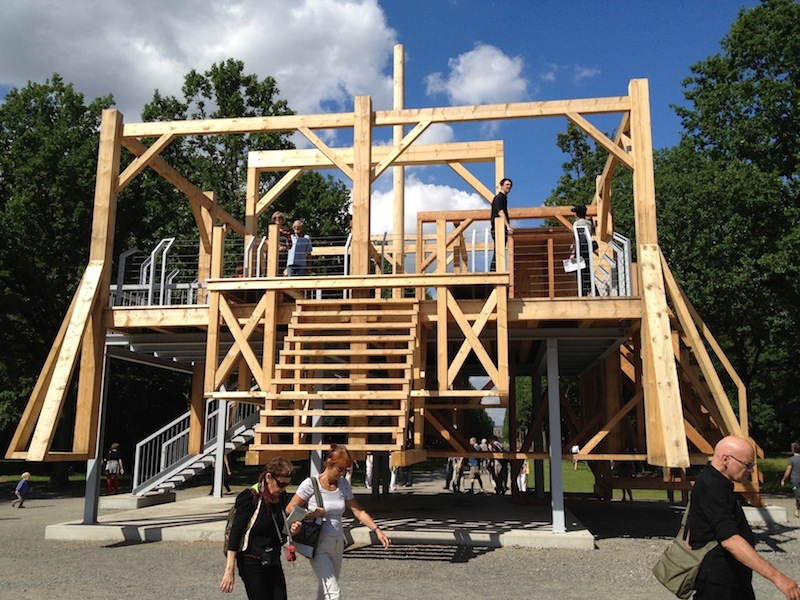 Sam Durant‘s Scaffold on the grounds of Karlsaue Park is a composite design gleaned from the study of the architecture of execution. 8. Janet Cardiff and George Bures Miller‘s open-air sound theater in the woods of Karlsaue Park that record human impacts (large and small) on nature. 9. Massimo Bartolini’slapping wave on the grounds of the Orangerie. 11. Abraham Cruzvillegas’ nearly invisible actions throughout the streets of Kassel (I never found one and only heard about them). 12. Tino Seghal’s interactive performance with the public in a darkened space adjacent to the Huguenot House (photography and recording are not allowed). 13. Aníbal López’s public interview with a Guatemalan assassin to candidly discuss the socio-political realities and the nature of violence in his country (a public performance now presented as documentary video in the Neue Galerie). 14. 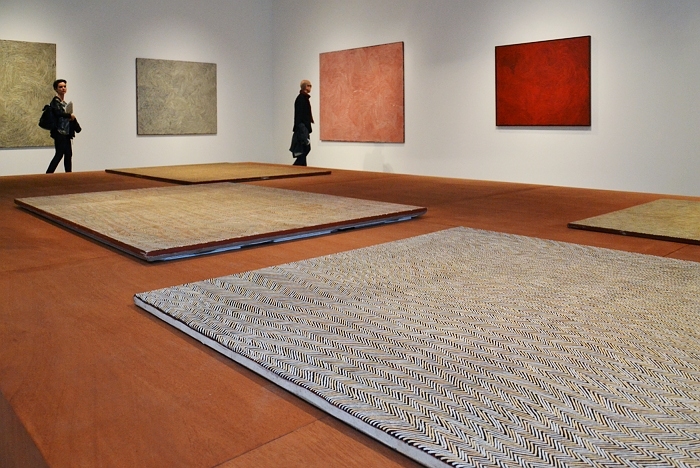 Doreen Reid Nakammarra‘s undulating abstract paintings that pay homage to a sacred aboriginal women’s site in Australia. 15. 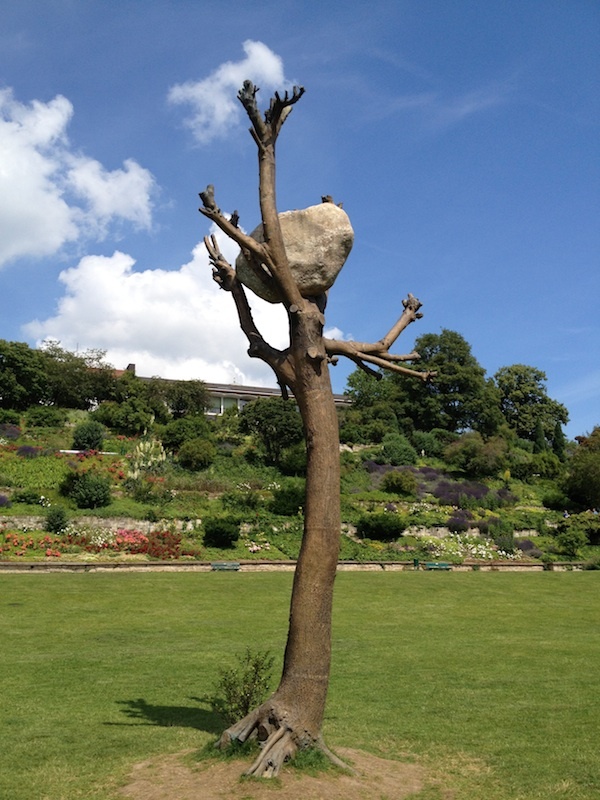 Giuseppe Penone’s bronze tree in the middle of Karlsaue Park.